Bookvip - STAY AWAY AT ALL COSTS!!! 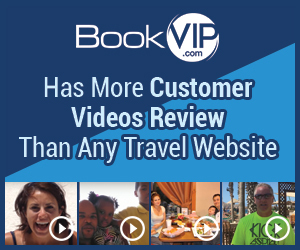 In addition to our exclusive promotional package, BookVIP affords customers the opportunity to make reservations through a number of other travel sites such as Expedia via our website as a comparison tool, however, BookVIP itself has no control over or access to those reservations made with the other travel sites. All confirmations and receipts issued by Expedia provide a customer service telephone number and further instructions concerning cancellations/refunds. As for BookVIP’s amazingly affordable special promotional packages, providing excellent customer service is our main goal and we are readily available 24-hrs. per day/7-days per week. The Terms and Conditions governing every vacation package can be found at the bottom of each hotel offering page on BookVIP’s website. The Terms and Conditions are printed in a normal font and are easy to understand. If you book through BookVIP, be aware that they put "advance" purchase prices on hotels they label as cancellable without penalty. But, after you make the reservation, your confirmation may say it is not changeable or cancellable, and your credit card will immediately be charged! When I tried to cancel, I had to make several calls, and each time the customer service person gave me a different number to call. I spoke to Melinda, Jezz, Jenny and Mitch @ BookVIP.com. I was given numbers to call the hotel direct, 3 different numbers at Expedia and 3 different numbers at BookVIP.com. When I finally asked to speak to a manager at BookVIP.com , they refused to speak to me! The whole process took me over an hour and a half, and I still was unable to cancel my reservations. I didn't like: Conflicting cancellation policy. Review #777302 is a subjective opinion of atillc.